I have been a fan of natural deodorants for the past couple of years, they just seem to get on better with my skin and they seem to work for me. However, I have recently found that I’ve had to reapply the ones I was using, so when I got the spray version of the Pure Aura deodorant from Salt of the Earth I was definitely interested in trying it out. As you may be able to tell by the fact I went and bought the roll on version I was definitely a fan. The roll on of the Pure Aura Melon and Cucumber scented deodorant holds 75ml and costs £5.49. The full sized spray is £5.99 for 100ml so is a bit more cost effective but I’d say that price difference is for the container rather than the deodorant itself so it’s purely a case of which kind you prefer. I got a half sized spray from the Holland and Barrett advent calendar last year. Today’s advent calendar present in the Marks and Spencer’s Beauty Advent Calendar may be more skin care but it’s one of the products I’m actually excited to try. It’s not for your face, it’s the Ameliorate Transforming Body Lotion which claims to help smooth and naturally exfoliate your skin in a lotion. 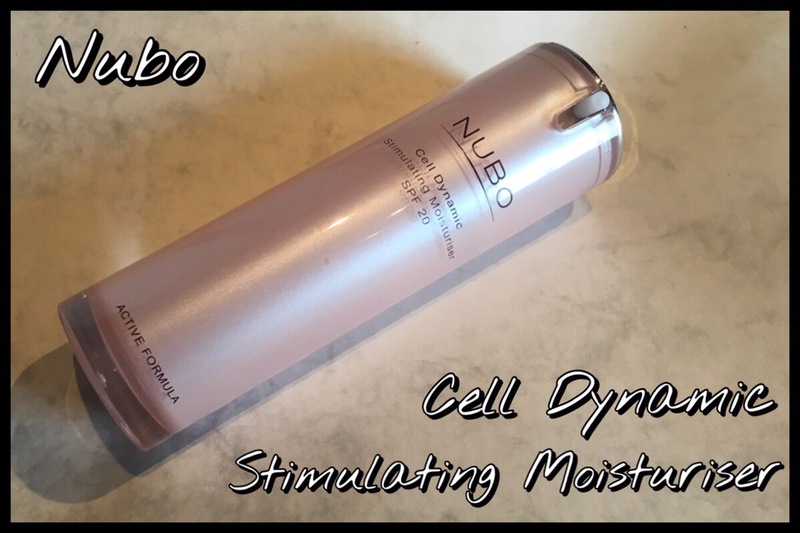 To be honest until now I’ve never heard of this company but having read up a bit on the product itself I am definitely going to be giving this one a proper go and maybe getting the full sized version to keep it going properly. Another positive for this product is that Ameliorate don’t test on animals, which seems rare with a lot of these more scientific seeming skin care products, or the ones I’ve found anyway. This is the 50ml tube of Transforming Body Lotion, which is available in both 100ml (£14.50) or 200ml (£22.50) so this is a mini trial version. It says to see the effects you have to apply it twice a day for four weeks and then once a day afterwards. I can see this lasting a couple of weeks if I try it on my legs but not the full four so I’ll see how well it does and maybe get the full sized bone to give it a proper go. It’s supposed to resurface your skin using lactic acid which encourages the skin’s natural process for removing dead skin cells. It’ll be interesting to see if it works as my skin could definitely do with some help in that. Heel Genius from Soap and Glory is one of those products that I don’t think I’ve ever bought individually, it’s come in a lot of their gift sets over the years I’ve been buying from them, but when I do have it I like it and then forget about it until the next time I have it. With sandal season having hit here in the U.K., though it may have disappeared at the moment, I thought I’d see if I had some in my stash and I found this tube Christmas gift last year. I try to look after my feet but I will admit that, apart from a month or so before and through sandal season, they tend to get forgotten. I also tend to just use hand creams which, although they’re effective, aren’t deigned for feet and tend to be more perfumey. Heel Genius is normally available in a 125ml tube for £5.50, at least that’s what I can find online outside of gift sets, so this is a mini version but it’s just a scaled down version of the tube and the product itself is the same. It’s a foot cream designed to help keep your feet feeling fresh and in good condition and It’s recommended that you apply a good amount to your feet in the evening and put socks on so it can sink in and have the maximum benefits. 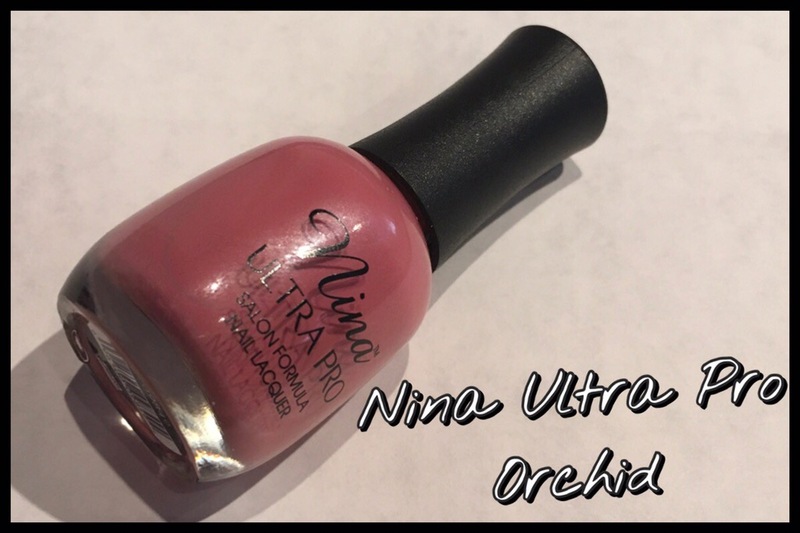 I haven’t bought anything from the Nina Ultra Pro nail varnish line before, I’d seen them in Sally’s a couple of times but tended to stick to the brands I knew. However, the last time I went this was the only company that had the kind of colour I was looking for so I decided to give them a go and bought Orchid, a sort of darker version if the melenial pink that’s everywhere at the moment. I can’t find this exact nail varnish on their website, maybe it was a limited edition or it’s just out of stock at the moment, but the rest of their standard nail varnish line is £4.88 a bottle online which is a pretty good price for a nice nail varnish that actually lasts so I thought I’d see if it could do as well as some of my current favourites. Soap and Glory recently released a dry shampoo, The Rushower, which is available in two different sizes. The smaller travel size, which is 50ml, costs £2.50, with the larger 200ml spray costing £4. Being a fan of Soap and Glory and always on the look out for a good dry shampoo I had to try it. At the time only the smaller size was available but I actually quite like this size, it’s perfect for throwing in a handbag or for travel. The dry shampoo has the original pink scent, it has a bright citrus and slightly floral scent to me. It’s definitely very perfumey and it reminds me a lot of the Lsuh Snowshowers family of products, that’s a buck’s fizz type scent, for some reason. This dry shampoo has scent release technology that means there are particles that contain scent and the friction from running your hand through your hair is supposed to release the scent, meaning you get the scent a while after you’ve sprayed your hair making it smell fresher for longer. That’s the idea anyway so I was intrigued to see if that would actually work.